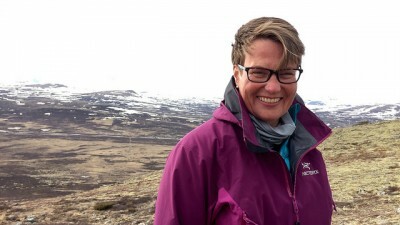 Sundtoft’s resignation, granted by King Harald V on Wednesday, came just days after she’d won praise and respect last weekend for helping to secure a new international climate agreement at the UN climate summit in Paris. French government officials had given her the important job of drafting the goals in the climate agreement, and she could return to Norway as a heroine. Even the environmental movement, which had been unimpressed with Sundtoft’s first two years in her ministerial post, was hailing her hard work and accomplishments in Paris. The leaders of Bellona and Naturvernforbund, for example, publicly stated that they thought Sundtoft had done a great job and wanted her to stay on to oversee implementation of the climate pact. Sundtoft had, however, already told Prime Minister Erna Solberg that she’d had enough. When the Paris summit was over, she thought that would be a good time to step down and let someone else carry on. “Sundtoft herself has asked to be relieved after Paris because (the work) has been so dominating and demanding,” Solberg said when announcing her cabinet changes. She revealed that those closest to her knew that she had defined the Paris summit as the end of the line. “The Champagne-smile you saw on Saturday was a combination of joy over having delivered something historic in Paris, and personal relief that I could leave on a high note,” she told NRK. Sundtoft said she was “just thrilled” that she’d finished the process with her Norwegian team. “We have put an enormous amount of work into the climate work,” she said.